Heavy on the bass glooping swampy digital gloss clean and rounded with angularity in its gradually sharpening shape and the offbeat syncopation as the thudding techno kicks round it up lasso it together with small but explosive snares that thin and crashing echo in the nocturnal ambience of the track. A great sense of minimalism pervades this one, small changes subtly altering the route of the track as it trundles along like watching a storm that hasn't yet arrived is not yet overhead can't feel the rain but distantly the thunder is booming and the clouds even blacker than the night sky itself and towering. Watching from a distance. 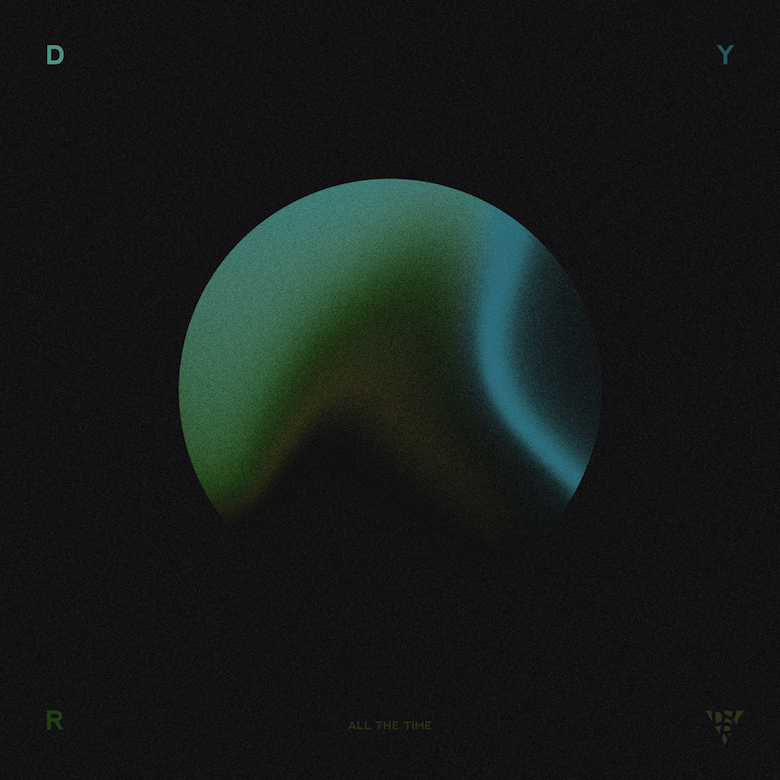 Not pulling you in nor under but mesmerising from afar, 'All The Time' by Seattle producer DYR slips into this state of easy awe, a digestible titan of sound. It is practically defined by that bass, present at almost every moment, which shifts during the track's duration shifts slightly, becomes sharper fuzzier more distorted but not extremely, and also it writhes with delay later on, the now wooden twang of it more rapid fire than its original stark simplicity. Throughout there is a little procession of organic sound in the form of palm muted guitar, whether synthetic or real it is difficult to tell, but this provides a dim twinkle for the murky atmosphere, as do the later additions of gossamer layers of ambient synth like laser light crowning odd rock formations, haloing trees, glittering on dark dewy nighttime grass. A picture-painting morsel that is pneumatic and tireless in its dance energy, and emphatically chilled, yet without a single drop nor vocal sample in earshot, eschewing needless things for the barebones of beat and bass with little jewels of ambience to decorate. 🔔 You may buy 'All The Time' for only $1 from DYR's Bandcamp if you like.